Although Pitch Big is a game-show style competition, one thing is for sure: it won’t be all fun and games. Think Big Kansas City is looking for the Midwest’s brightest, most driven, most fearless entrepreneurs with the biggest business ideas—and even more importantly, entrepreneurs with ideas that can actually work. So, you know what TBKC is expecting, but what are the judges expecting? A few weeks ago, we gave you answers from one of the Pitch Big judges, Chris Geisert, about what he wants to see from each pitch. He even clued in readers about what types of ideas will actually win the competition. But what about the other judges? After all, you’ll have to win over all three in order to win Pitch Big. And one of the judges that you’ll have to go above and beyond to impress is Rachael Qualls, founder of the Angel Capital Group. Rachael has seen a lot of business plans in her lifetime—and she is an entrepreneur herself (“been there, done that!”). So what is Rachael looking for from the participants of Pitch Big? “I’m looking for great business opportunities developed and run by entrepreneurs with a passion for what they do,” Qualls states. “I’m not looking just at what is possible, but what is also probable to be successful.” Sounds simple enough, right? 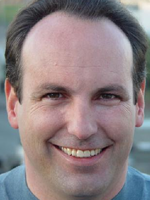 Qualls is looking forward to judging Pitch Big 2011 with fellow judges Chris Geisert and Michael Gale. She is a firm believer that a business pitch competition like this will have a huge impact on the entrepreneurial community of Kansas City. “Pitch Big brings people together, and running a startup is like living on a deserted island. So, the mind share that can take place at events like this can create an untold amount of efficiency in the lives of entrepreneurs by connecting them,” she says. Applications for Pitch Big are due May 17, 2011. Apply now...you may be the big winner on May 24th at Think Big Kansas City! TBP's Interview With the Original Apprentice: Bill Rancic Thinks Big! We recently had the chance to talk on the phone with Bill Rancic, original winner of NBC's The Apprentice, about Think Big Kansas City and what he plans to talk about at the big event. Just because Bill Rancic is the original winner of NBC’s The Apprentice with Donald Trump, the star of A&E’s new series We Mean Business, a best-selling book author, and an ultra-inspirational entrepreneur, does not necessarily mean that he spends all day walking the red carpet (although he does do this quite a bit with his wife and E! News host, Guiliana Rancic). Most of the time, Bill is doing quite the opposite. Instead, he stays highly engaged in charitable activities and spends a large majority of his time doing what he does best—giving entrepreneurial and high-growth advice to startups and small businesses. And one of Bill’s many stops on his inspirational speaking tour around the world is none other than the 2nd annual Think Big Kansas City conference. Last week, Think Big Partners (one of the driving forces behind Think Big Kansas City 2011) had the opportunity to talk with Bill Rancic one-on-one to learn about what he is planning to present at Think Big Kansas City and how he can bring new ideas, inspiration, and acceleration to the entrepreneurial community in KC. Among these themes, Bill Rancic is planning to discuss the traits of successful entrepreneurs such as Donald Trump, Mark Cuban and Ted Turner as well as the traits of unsuccessful entrepreneurs that he has worked with not only on his A&E reality show, but also in his everyday business life. “I hope that people will leave my session asking questions about how to make their businesses better,” said Rancic. Think Big Kansas City is your chance to get up close and personal with one of America’s most successful reality TV stars, Bill Rancic. Upon completion of his keynote speech, Rancic will open the floor with a question-and-answer session that any entrepreneur or small business owner could benefit from. After the Q&A, Rancic is planning to stick around to autograph his books (including You're Hired: How to Succeed In Business And Life From The Winner of the Apprentice as well as Beyond the Lemonade Stand) and shake the hands of many Kansas City and Midwest entrepreneurs, investors, and small business owners. Join Bill Rancic, Think Big Partners, and many others at Think Big Kansas City and learn how to accelerate your business. Register today and see everything that the wide world of entrepreneurship has to offer. And of course, get ready to Think Big! Scott Mize, a veteran Silicon Valley venture development executive, talks about his excitement for Think Big Kansas City and how Kansas City is becoming its own version of the California hotspot. 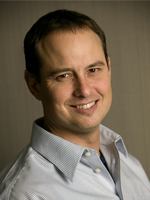 TBKC Speaker Scott Mize is looking forward to Think Big Kansas City. But can KC live up to Mize's California-esque expectations? Find out in our question-and-answer session with Scott Mize. TBP (Think Big Partners): What made you interested in attending Think Big Kansas City? Scott: I met Herb (Sih, co-founder of TBP) and found out what was going on at Think Big Partners. I liked the idea of an incubator for early-stage companies and being a catalyst for a new entrepreneurial ecology in the Kansas City area. Since Think Big Kansas City is a part of that, it’s something that I wanted to be involved in. TBP: What are you looking forward to most at Think Big Kansas City 2011? Scott: I’m looking forward to meeting the local entrepreneurs and angels and finding out who’s in the audience. I am also looking forward to the business plan pitches that will be presented at Pitch Big. TBP: What makes you so interested in the Pitch Big competition? Scott: That’s where the rubber meets the road. That’s where an entrepreneur gets access to the resources he needs to build his business. I like that process. I find the exchange of ideas and feedback to be a fascinating, interesting and fun process. I’m interested in seeing what types of companies come forward because that will give me a sense of what’s happening in the KC entrepreneurial community. TBP: You are a moderator for “Lessons Learned from KC Entrepreneurs”. What makes you a good moderator for this panel? Scott: I have advised and consulted to over 100 companies in the information technology, the nanotech and cleantech spaces. I’ve also been a founder and principal in a number of companies. I’ve seen the inside story of how these companies grow and the challenges they have. This gives me lot of experience and insight into how to solve the challenges that any early-stage company will come up against. TBP: How long have you been doing this kind of work? Scott: A long time! It goes back to my college days. I was going to undergraduate school at Harvard when I came home for a summer and attended an entrepreneurship class as Wichita State University. There, I met three people who I helped to found the Association of Collegiate Entrepreneurs. It was the first student entrepreneurial organization, with members like Michael Dell and Mark Cuban. At the same time I founded my first venture, which was a microcomputer software company. I also subsequently helped to start the Young Entrepreneurs Organization which is now known as Entrepreneurs Organization. TBP: What are you hoping to take away from Think Big Kansas City? Scott: The main thing that I want to take away from is an insight into the state of the entrepreneurial community in Kansas City. I want to take the pulse of its startup environment. That will give me insight into the challenges that Think Big Partners has in terms of taking the entrepreneurial ecology to the next level. TBP: Do you think we can bring the “Silicon Valley” approach to the Midwest? Scott: I think what I see happening with Think Big Partners and Kansas City is part of a whole transformation across the country and the world. Innovation historically has been overwhelmingly centered in a few areas like the San Francisco Bay area, Boston, and Austin. But today the economics and dynamics of Internet-based ventures make it possible to do this anywhere. Take a look at Groupon, founded in Chicago. The internet has enabled an explosion of innovation in a number of different places including ones that you don’t traditionally think as centers of technology innovation. I see Kansas City as a case study. I’ll be interested to see what needs to be done to make it an intense center of innovation. TBP: Why is entrepreneurship so important to bring to Kansas City or to the Midwest? Scott: Job creation comes from early-stage and growing companies. Particularly in this country—due to globalization—there is a constant pressure on American businesses from the international competition. The only real chip that we’ve got in the game is to create high-value products and services that are unique. There are entrepreneurs everywhere—there has been an entrepreneurial community in Kansas City since the beginning—but I think that we are entering a new phase that is sparked by the internet and driven by globalization. That makes it more imperative for there to be a thriving entrepreneurial community not only in Kansas City, but in every city around the country. That is the only way that we will be able to win at the whole jobs equation. TBP: How do you Think Big? Scott: Whenever I look at a new company, my thought is always, “How do you make this the Biggest success possible?” That’s my main mode of Thinking Big. One of the things that I do when I advise early-stage companies on strategy is to try to understand how to take their unique competitive advantage and translate that into the biggest possible opportunity and return. To learn more from Scott Mize and many other experienced entrepreneurs, register for Think Big Kansas City and prepare to Think Big! Interview conducted by Allison Way. When It Comes to Entrepreneurship, "Measure Twice, Cut Once"
Ron Mayer’s Sole Patch is more than just an upper-end men’s barbershop; it’s also a hotspot for upper-end networking. Sole Patch is not your typical barbershop. It has a guitar lounge. Its clients run the likes of Kansas City anchormen, public figures, and athletes. It’s even owned by a contestant of The Bachelorette. Without a doubt, Sole Patch is an upper-end men’s barbershop unlike any other in Kansas City, and perhaps, unlike any other in the country. Sole Patch, the modern-day men’s barbershop located in Prairie Village, was launched four years ago by Ron Mayer. But Ron was not always in the men’s lifestyle industry. He started out in the investment field, but found that his skills were more valuable in another industry—an industry completely different than that of investment. Ron was to run an upper-end men’s barbershop. Ron was to be an entrepreneur. But why Sole Patch? It seems a little too unique, a little too flashy, and a little too expensive for the Kansas City market. But according to Ron, the business is booming, even in the recession. In its second year, Sole Patch saw a 75% growth. In its third year, 40%. “To be a big fish in a small pond, I needed to find an industry that hadn’t been reinvented in the last 30 to 40 years,” says Ron. He found it—and reinvent, he did. Do not be alarmed if you find a 1971 orange pick-up truck parked outside of a golf course. That’s just Ron and his Sole Patch staff giving hot towel shaves to local Kansas City golfers. Don’t be surprised if you walk into Sole Patch and leave with 10 business cards and a handful of new friends. And finally, don’t be shocked to see the Sole Patch brand sweep the nation in years to come. That’s Ron’s ambitious goal: “To become the best men’s hair cutting business in the city” and then to open many more locations. Ron Mayer has opened up a barbershop that Kansas City needs. And with his investment background and entrepreneurial heart, he has created a business that is to be successful now and in the future. Ron’s one piece of entrepreneurial advice? “Measure twice, cut once.” Quite fitting. What's it Going to Take to Win Pitch Big? Pitch Big judge, Chris Geisert fills us in. TBP: What are you looking forward to most at Think Big Kansas City? Chris: Any of these events that we go to – it’s all about meeting the entrepreneurs. Seeing their passion on the frontline and learning about their business ideas. TBP: You attended Think Big Kansas City last year. What are you expecting to see this year? Chris: It was a great event last year. This year, I expect more of the same great educational opportunities and the ability to meet and mingle with other entrepreneurs. I’ll definitely be attending the presentations and the keynote. I’m really looking forward to it. TBP: You are participating as a panel judge for Pitch Big. What are you hoping to see from the contestants? Chris: I want to hear their conviction as to why their ideas is going to work. I want to hear a well-thought-out idea that is concise, clear and able to be confirmed. In other words, show me the numbers. If you can’t explain the benefit of your business or why it’s relevant in 25 words or less, then you probably need to refine your business or your message. TBP: What are you going to take into consideration most when deciding on a winner of the competition? Chris: The elevator speech and how they communicate will be a key piece of it. But at the end of the day, it comes down to whether or not I think they can execute the idea. Ideas are worthless without execution. If they can’t execute it, then it doesn’t matter how great the idea is or how great their presentation is. Another thing will be scalability. Is this an idea that once it’s proven can accelerate to the next level quickly? TBP: What’s it going to take to win? Chris: Overall to win, it’s going to take the complete package. The idea, the presentation, and the belief that they can execute on it and that it can be scalable. So when it comes down to it, I’m sure there are going to be a lot of great presentations, a lot of great ideas, several people that can execute. But it’s who can pull that all together into one package. TBP: What made you get involved as a panel judge for the business pitch competition? Chris: We want to be active in the entrepreneurial community. Whether we’re funding an idea or not, we want to see entrepreneurs in Kansas City succeed. Hopefully entrepreneurs will learn something from just meeting with us that they can take and use–even if it’s just one nugget. We think KC is a great place to start a business, especially a technology business, and anything we can do to foster that, we want to do. TBP: Why is a Pitch Big so important for Think Big Kansas City and what can it do for the entrepreneurial community? Chris: I think it’s important for entrepreneurs to get out and meet other entrepreneurs. Whether they’re in Pitch Big or not, it’s important to get out, see what others are doing, know that they’re not alone–because sometimes being an entrepreneur can be a very lonely business–so I think it’s good for them to get out an mingle. For those that are participating, I think it’s a great time for them to practice giving their message in front of an audience, get feedback, refine their message for the next time they present; that’s how they improve. Chris: I Think Big by trying to figure out how to scale a business. Once we understand a business, how do we immediately try and scale it as big as possible. Within Tradebot Ventures, it’s finding an entrepreneur, figuring out if that idea is going to work, and if it is, how do we scale it. I think scaling is the biggest way that we Think Big. Interested in applying for Pitch Big? Apply here. Mark Your Calendars: TBKC Will Be Here Before You Know It! Time flies when you're an entrepreneur, doesn't it? We think so. Think Big Kansas City is only a little over a month away. Have you registered? Purchased your ticket? Checked out the agenda? Applied for Pitch Big? Signed up for the Startup Expo? If not, now is the time. Yesterday, we sent out our first of many countdown emails in anticipation for Think Big Kansas City 2011. To become a part of the countdown, sign up for the Think Big Partners newsletter found here: Newsletter sign-up. Can't wait to see you at the 2nd annual Think Big Kansas City conference. Get ready to Think Big! Fast-food restaurants. Drive-thru Starbucks. Go-Gurt. Hot Pockets. Eating meals has turned into a fast-paced, diverse, and multi-tasking activity in America. But just because the speed has picked up, doesn't mean that we have to eat like we're in a hotdog eating competition at all times. Here are our top 10 tips for business etiquette while eating. 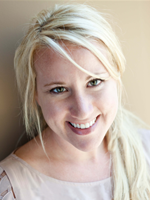 A special thanks to Colleen A. Rickenbacher, author of Be On Your Best Business Behavior. She truly is the queen of business etiquette. 1. Bread on the left, drinks on the right. To remember this, make "okay" signs with both your left and your right hands. You will see that your left hand looks like the letter "b" (bread) and your right hand looks like the letter "d" (drinks). When setting a table, remember this rule. 2. Silverware usage. Once you pick up a piece of silverware, it should never touch the table again. 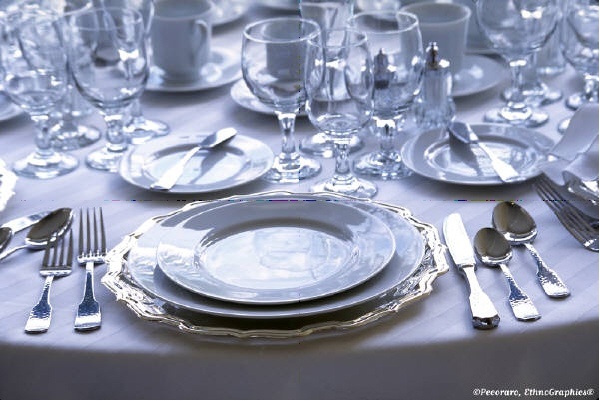 When you're finished using your silverware, place the fork and knife together, angled across the plate. 3. Saying "no" to coffee. If you do not want coffee, do not turn your cup upside-down. The wait staff will do that. 4. Sugar high. No need to use 17 sugar packets in your iced tea or coffee. Try to limit to two. And try to not shake them, slap them around, click them, or tap them more than a couple of times. 5. Napkin no-no's. Blot, do not wipe. 6. Time-consuming bread. You must realize that eating bread is extremely time-consuming. In order to eat bread properly, break little pieces of bread and butter each piece one at a time. 7. Salt and pepper are married. They always travel together. 8. Portion control! We all wish we had it. But in a business situation, especially a buffet situation, use portion control. This is not your last supper. 9. Fixing yourself is what a bathroom is for. If you need to reapply makeup, brush your hair, floss, or put on more lipstick, don't do it at the table. Excuse yourself and use the restroom. 10. Toasting. Keep it short (30-60 seconds) and should be said from the heart (not a notecard). Read more about business etiquette. 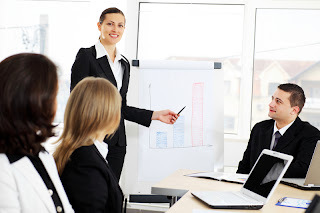 Are You Ready to Pitch Big? Do you Think Big? If so, we have the business pitch competition for you. If you're an entrepreneur, innovator or creator with the next big idea or high growth opportunity, Think Big Kansas City is hosting a competition to find the next big thing...and it could be from you! Maybe you've seen ABC's hit reality TV show Shark Tank, where entrepreneurs present their ideas to a panel of investors in the hopes of winning major cash and a chance to achieve the American Dream. Well guess what? Think Big Kansas City is hosting a Shark Tank of our own – but with our own Kansas City twist. We're calling it Pitch Big: "Shark Tank" Style. If you think that you've got what it takes—drive, creativity, innovation, and a winning attitude—now is your chance to pitch your big idea to a VC panel of judges and win prizes made just for your startup! Learn more about Pitch Big: "Shark Tank" Style, see rules and regulations and fill out the application by clicking here! 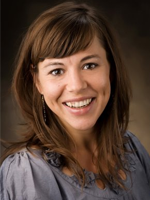 Last week, I talked to Tamara Christensen, director of research at R&D Leverage and Think Big Kansas City speaker, about what she is looking forward to most at TBKC this year. Below you will find my Q&A session with Tamara. Don't forget to register for Think Big Kansas City, May 24, 2011 at the Kansas City Convention Center! TBP: What made you interested in presenting at Think Big Kansas City? Tamara: It has such a strong presence in the Kansas City entrepreneurship and business community and it’s a very well organized event. When you put those two things together it makes for a great conference. I think that it’s a great opportunity to meet new people and become part of the growing tribe of people in the Kansas City area that are committed to entrepreneurial excellence. Tamara: Meeting new people and learning and teaching. I am excited about the potential of knowledge exchange and skill-building. I think the idea of catalyzing growth for myself and for other people in attendance. And to be honest, also introducing my own new business. I’m starting a creative consultancy so this is the first time that I’ll be going public with that. I am hoping that this conference will bring a lot of value to the Kansas City business and entrepreneurship community. It’s a fun even to be in the teacher role but also in the student role. TBP: What are you planning to present at Think Big Kansas City 2011? Tamara: It’s experiential and interactive and I will be talking about tools for creative thinking that people can immediately apply when they go back to their organizations. People think that creativity takes a lot of effort, but the point of my workshop is for people to recognize that in less than 60 minutes there’s a ton of things you can do to promote and generate creative thinking in an organization. So, in 60 minutes we are going to go through a number of activities that attendees will experience first-hand and then also afterwards we are going to de-brief so that they get tips on how to facilitate those activities. Anyone who attends the session should prepare to become a creative catalyst for their organizations. TBP: What makes you a good speaker for an entrepreneurship event like Think Big Kansas City? Tamara: I have been a speaker and a workshop leader at a number of national and international conferences over the years, but usually these conferences relate to product and service design or consumer and design research or innovation and creativity. What’s fun for me is Think Big Kansas City is an amalgam of all of these different disciplines because successful entrepreneurship and business requires skills in all of those areas. I think it’s an interesting coming-together and overlap of these different areas where I have had a conference presence before. Part of it, too, is the idea that since I am starting my own consultancy, I get to come and be a speaker but I also have my own curiosity about entrepreneurship and enterprise creation. So I get to wear both hats. TBP: What three things will people leave your presentation with? Tamara: Knowledge and vocabulary for discussing creative thinking as it relates to business. Also, clarity about what learnable and teachable skills and capabilities comprise creative intelligence. And, actual practice with various tools for creative thinking that they can use immediately. Tamara: The entrepreneurship community is new for me, but it’s intriguing because it’s an investment in the future of our city and our region. I think about other cities and what sets great cities apart from the others on the map is how receptive they are to the new and the up-and-coming. Some of the best places to live right now—and I think Kansas City is included in there—are the places that have rising creative classes so there are a lot of fertile opportunities where people want to go to launch their big ideas and contribute to the great conversation about the future. I feel like the Midwest right now and Kansas City in particular is like a hidden gem—we attract big players but we are also very good at nurturing home-grown talent. We are doing a great job of fostering that. Think Big is great because it’s another way of nurturing that home-grown talent and the entrepreneurial community before everyone else comes in and realizes how great of a place it is to do that. TBP: What’s the one piece of advice that you would give a potential entrepreneur? Tamara: If it’s not fun, don’t do it. If you’re not having fun with what you’re doing from the beginning, then you are setting yourself for a long journey. If it doesn’t feel like play, then find something else. If you’re undertaking launching your own enterprise and it’s something you’re going to pour your heart and your soul and your life and your time into then it ought to be something that you love doing. TBP: What are you interested in seeing at Think Big Kansas City this year? Tamara: One is I’m looking forward to hearing from Adam Coomes with Infegy. I think he is going to have some great lessons about research and innovation and social media. I’m also intrigued about their company culture. They seem to have a pretty passionate creative company culture so I’m curious to see their formula for creative success. I am also looking forward to Pitch Big: Shark Tank Style. It will be great learning and delicious entertainment. Tamara: I am a compulsive, divergent thinker so I’m always asking myself, ‘what might be all the ways to...’ and generating lots and lots of options. I have no trouble thinking big. Right now I’m thinking big about my new consultancy. I’m thinking big about summer class and teaching at KU to help bring design and creativity to K-12 kids. I’m also thinking very, very big way down the road about a life-long dream I have of opening a sustainable creativity campus near the Kansas City area that will be a resource for business and schools. That’s the big thinking! CraftWig is a community for crafters, offering in-depth tutorials, shopping lists, price comparison and sharing. Congrats to Craftwig, winner of Startup Weekend Kansas City 2011! Call Me Meeting is an application that provides a new and convenient way to connect to conference calls. No more dialing in. Call Me Meeting will find you and call you. All you need to do is answer and accept. 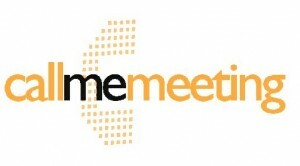 Call Me Meeting uses a simple web interface with the ability to organize, schedule, find and track participants. Creates better cities by making it easier for individuals to be better citizens. Quickly report issues and save your city money. A big congrats to all participants invoved in Startup Weekend Kansas City. We were excited to see that it was a huge success at bizperc. Also, a special thanks to SWKC's judges Al Doan, Scott Mize, Jonathon George and James Clarke, as well as SWKC organizers Adam Coomes and Steven Chau for making the event come to life! So...What's Going On at Startup Weekend Kansas City? At 5:00 last night, the 4th floor of bizperc was calm. Tenants were leaving their desks. Clients were wrapping up their meetings for the week. The coffee had stopped brewing. The 6th floor, however, was a different story. That's because Kansas City Startup Weekend was being set up. And right now, SWKC is in full swing at bizperc. I will be the first to tell you that there is some major inspiration, creativity and innovation going on. The moment I walked into bizperc this morning at 10:30, I could feel the energy overtaking the 6th floor space. Groups of visionaires, tech guys, marketing gurus, entrepreneurs, and business leaders were crowding around desks, posting sheets of paper to the windows, chugging Coke, and typing furiously on laptops. With just one glance at the activity going on at Startup Weekend Kansas City, I could tell that this event was going to be a huge success. So what's going on at Startup Weekend Kansas City at this very moment? I'm so glad you asked. From the development of a convenient conference call app (created by one of my friends, Mike Gelphman of KCITP), to the creation of a one-button app that reports potholes and other city issues (The business's tagline? It Takes a Village to Run a City), there are some amazing innovations at SWKC. Did you know...orange is the color for creativity and innovation? Startup Weekend at about 10:30AM on Saturday at bizperc. This group may have the best view of all! Inspired yet? Adam Coomes and Steven Chau - the masterminds behind Startup Weekend Kansas City. 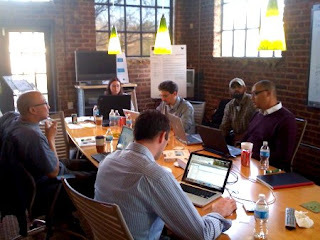 8 teams are competing at the 2011 Kansas City Startup Weekend. Food, glorious food! Lunch is served. Loving every minute of Startup Weekend! Window writing: a startup must. A huge thanks to the sponsors of Startup Weekend Kansas City! Like what you see? Be sure to sign up for next year's Kansas City Startup Weekend and make your dream a reality. With the event as successful as it is right now, I'm sure it will be back for a 3rd year- and bigger than ever before! Last night, as many entrepreneurs and small business owners were closing their laptops, packing up their briefcases, and heading home for the weekend, the team behind Kansas City Startup Weekend was just getting started. Startup Weekend is happening NOW at bizperc! Fifty-four hours of non-stop innovation, creativity, and startup-ness all in the name of creating new successful businesses and growing the entrepreneurial community in Kansas City. Before the entrepreneurs, visionaries, and leaders arrived at bizperc. The perfect inspirational spot to create a business. Adam Coomes and Steven Chau setting up for Startup Weekend at bizperc. STAY TUNED!! Startup Weekend is happening right now, and from the looks of things, it is an incredible event. Look for more posts, info, and pics from me about Startup Weekend Kansas City coming soon! 54 Hours. 503 Startups. 27,000 Entrepreneurs. 1 Startup Weekend. Think Big Partners and bizperc are proud to sponsor Kansas City's Startup Weekend, which begins tonight and runsthrough Sunday. Thanks to other sponsors like Adobe, the Kauffman Foundation, the Kansas City Chamber of Commerce, Mildred's Coffeehouse, KCSourceLink, and many others, Startup Weekend Kansas City is helping entrepreneurial dreams become a reality. Startup Weekend starts tonight at bizperc! We're excited to see the power of creativity and innovation explode in our own collaborative workspace this weekend. Think Big! A special thanks to the Kansas City Chamber of Commerce for sponsoring Think Big Kansas City! Without our sponsors, the event would not be possible! For sponsorship information, click here. Startup Weekend starts tomorrow! Are you ready to brainstorm, collaborate and launch? 54 hours. That’s all you need to make your startup dream come true. And the faster you develop a biz, the faster you can launch it. This is the reason that Startup Weekend has been such a success in cities around the globe. Are you ready to become a part of the startup world? If so, register for Startup Weekend Kansas City today. Become a part of Startup Weekend Kansas City TOMORROW! Launch your business, meet like-minded entrepreneurs, and have the weekend of your life. Register now. See you tomorrow at bizperc!